Sparkling Stampers: Happy Boss's Day--You're the Cat's Meow! I actually needed to stay up last night to make a card for Boss's Day for my wonderful boss. She is fabulous and wonderful and I feel so so lucky to have a boss I like personally and professionally. So I was charged with creating a card to celebrate her. I planned on something much more elaborate but ran out of time. She is a dog and cat person...probably slightly more cat since she has three of them! So here is a card in honor of her. (Boss's Day is Wednesday, October 16!) 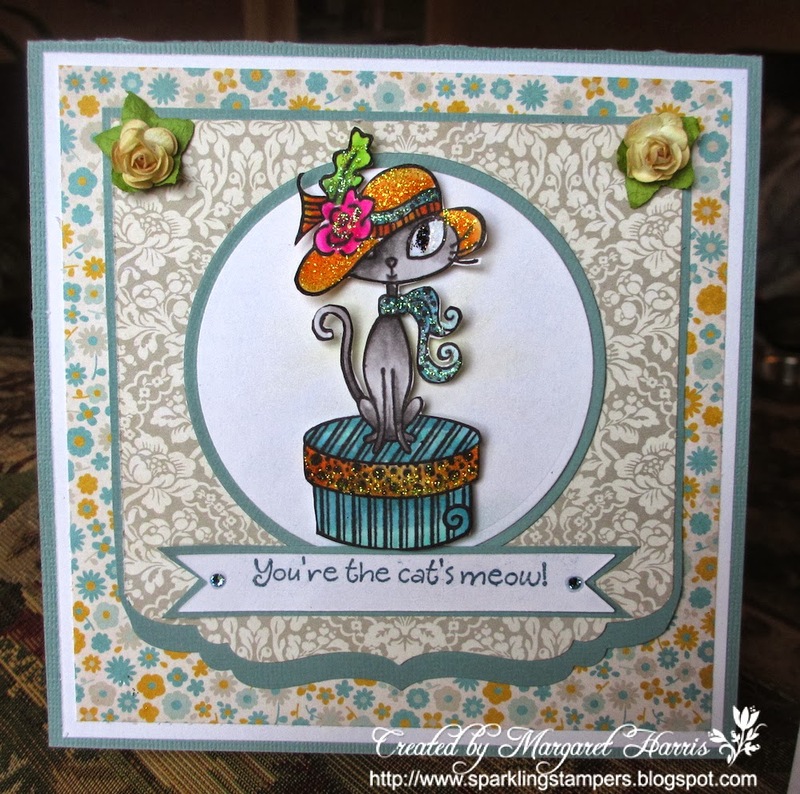 This card will be entered into the Die Cut Divas Challenge: Animals and Autumn. I hope you enjoy! (this is the first time I am using this paper...love it, don't you?) By the way, make sure you scroll all the way down. My daughter Claudia (age 12) made a card too this week...I'm so glad to see she is back in the art room! Below is a card made by Claudia, Age 12, using an older Stampin Up stamp. Fabulous cards. The cat is just adorable. Love the hat. Great colors and design on the flower card. Great job, Ladies. So glad you joined the Die Cut Divas' challenge. super sweet. Thanks for joining us at Die Cut Divas this month.